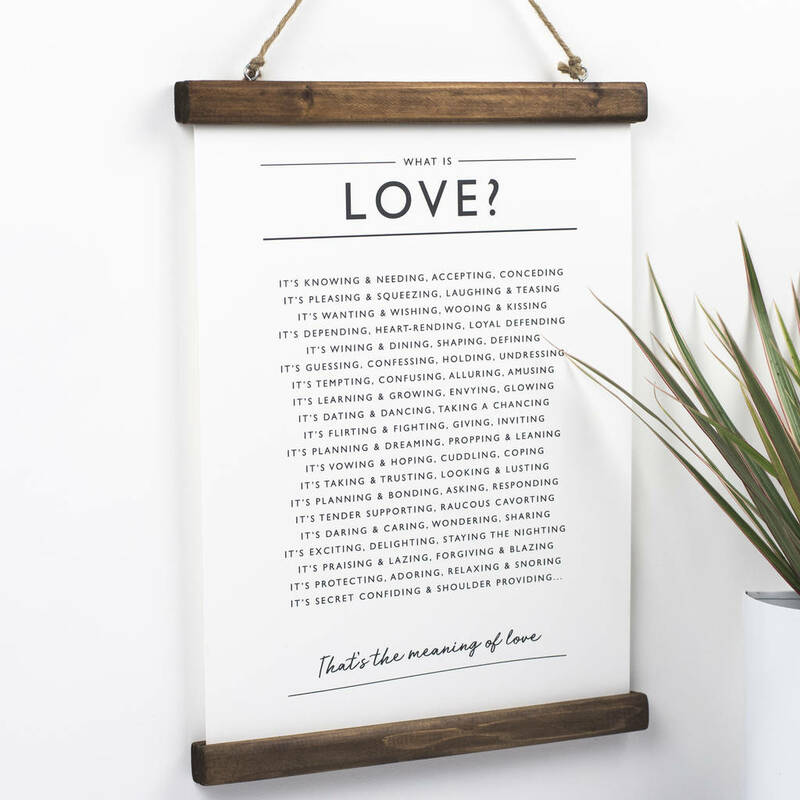 A witty and moving love poem print which can be personalised with your message. Comes unframed. TO ADD WOODEN HANGER FOR A3 SIZE ONLY - SEARCH PRODUCT CODE 745781. Our 'What is Love?' poem print has a cool, scandi design. It makes a great Valentine or engagement gift. 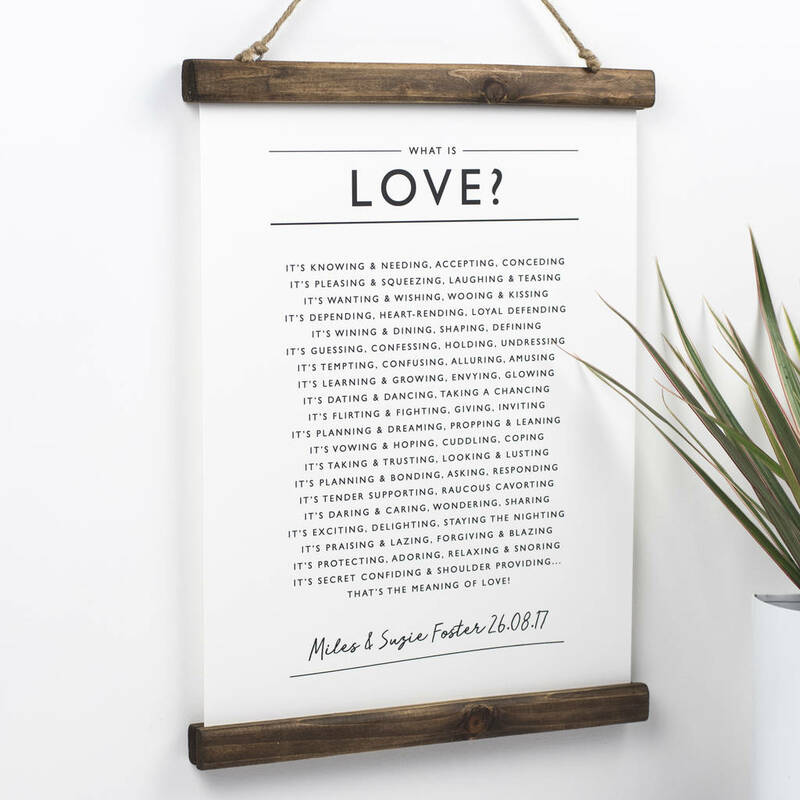 You can chose to add a personalised message to the print. The message needs to be no more that 50 characters long to fit perfectly beneath the poem. See images. The poem is strictly the copyright of Joanna Miller 2015. (Author's permission required to reproduce this poem). The love poem is printed in our studio on the highest quality white paper (250gsm) using Dura-Bright waterproof ink. Hangers are magnetic with a string for hanging. PLEASE NOTE: hangers are waxed and therefore care should be taken when handling them as the wax can mark the paper.